available for purchase as a single unit or in packs of ten. 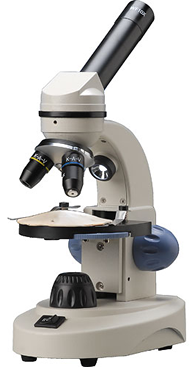 The Ken-A-Vision ESH101 is an entry-level microscope designed specifically for the classroom. Students will benefit from hands on learning with the ESH101 in a variety of different ways. Most notably is the above lighting, which allows for viewing opaque specimens. 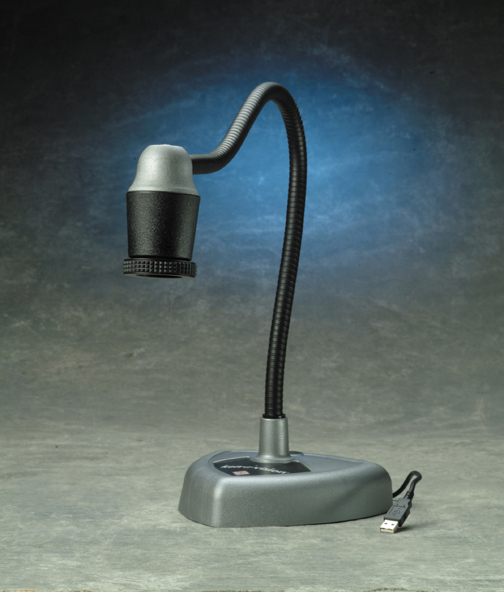 • Above Lighting: By incorporating illumination from above, the ESH101 is capable of showing a variety of opaque objects, making it much more versatile than comparably priced microscopes. The Ken-A-Vision T-1201 cordless PrepScope is an affordable microscope which has been equipped with a monocular head for comfortable viewing. 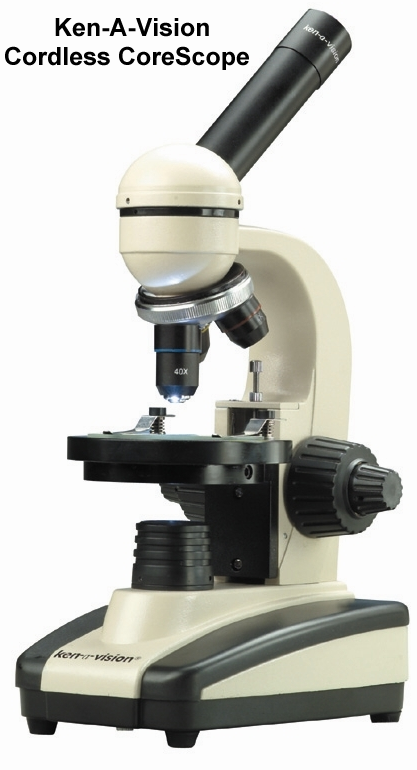 Its rugged frame makes the microscope ideal for classroom environments where durability is a must. • Free To Roam: Don't keep your scope on a leash; the internal battery allows unit to move around the lab with no strings attached. Equipped with a NiMH battery, it can be powered anywhere. Work for up to 11 hours before a recharge. • Cost Effective: Ideal for the middle schools, the PrepScope facilitates an appreciation for observation and learning through self-discovery. The unit provides sturdy operation without making a huge dent in a schools budget. • Durable Frame: The metal base is built to take a lickin' and keep on tickin', and the high- density plastic covering protects the unit from chips and scratches. 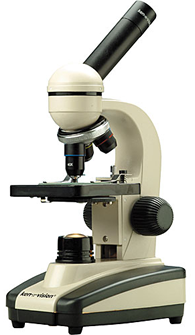 Additionally, a slip clutch has been included to prevent damage to the microscope's focus. The Ken-A-Vision Cordless CoreScope has all the features and benefits of the Powered by Ken-A-Vision Cordless Microscopes. Plus, it has a light rheostat, a multi-directional round floating stage, and separate coarse and fine focusing knobs which make it easier for the student to operate. The Ken-A-Vision T-1701C CoreScope is an affordable compact microscope geared towards schools. The scope comes equipped with a bevy of features to help students, including an enlarged eyepiece, a multi-directional floating stage, and both coarse and fine focusing knobs. Being completely cordless, this model can be moved around freely by the use of a NiMH high-powered battery. The CoreScope facilitates self-discovery and the value of learning through scientific observation. 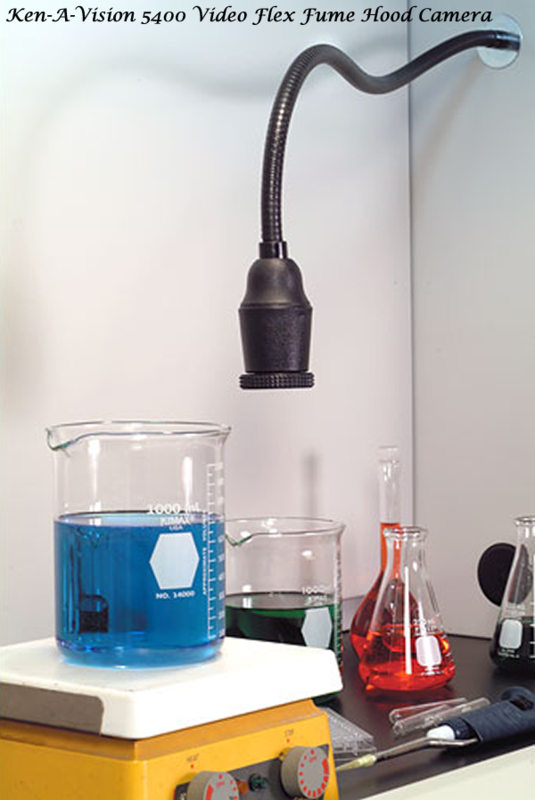 • Enhanced Bulb Life: The microscope is designed for extended use with a bulb capable of 100,000 hours of operation before needing to be replaced. That's over 11 years of continuous use! • 10-Year Warranty: The CoreScope is backed by a staggering 10-year warranty. 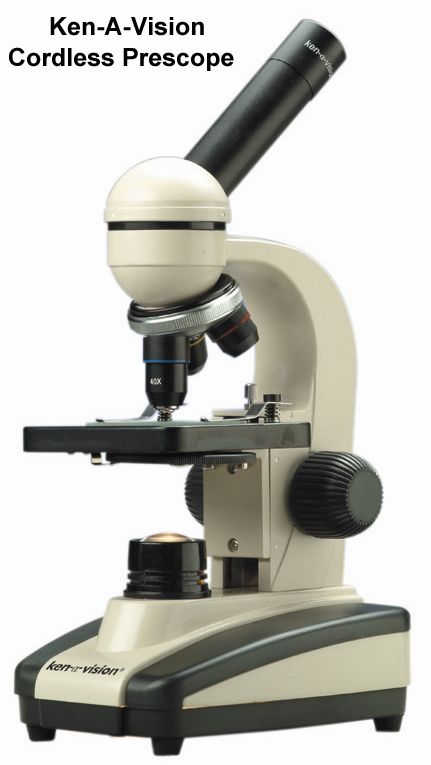 Even through the daily trials of extended use which school equipment is often subjected to, rest easy knowing this microscope will stand the test of time. • Cordless Design: Equipped with a NiMH battery, the T-1252C can be powered anywhere. Work for up to 11 hours before a recharge.